AN AGHYARAN man who sustained a vicious stab wound during a robbery in 2014 has once again fallen victim to criminals. Paddy Hans and his wife Marian, who live on the Aghyaran Road, are this week counting the cost after the family home was ransacked during a break-in on Friday. It’s the second time in just under five years that the family has been targeted after Mr Hans was attacked during an robbery of his business in Castlederg. He required 17 stitches after a man entered his Bureau De Change business and demanded money. 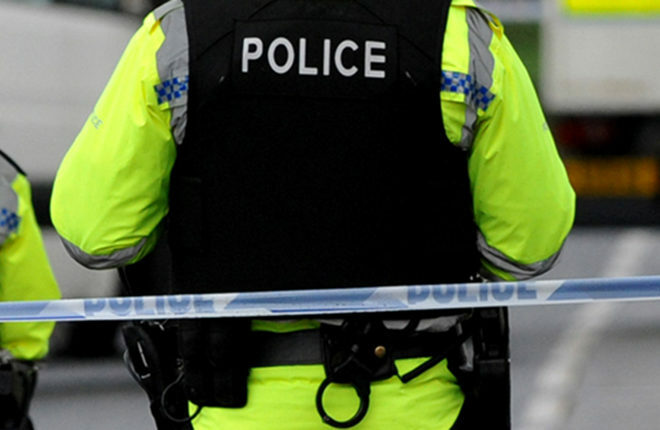 This latest incident, along with three other separate burglaries in West Tyrone during the past week, have sparked growing fears that an organised gang could be targeting family homes and businesses in the run-up to Christmas. Police are also investigating a link between robberies in Mountfield on Monday. On the same night tools were stolen from a van belonging to a local businessman which was parked outside his home in Carrickmore. Speaking to the UH, Marian Hans, said very valuable items had been taken during Friday’s burglary, including designer luggage, handbags, jewellery and some money in cash. “They gained entry through the backdoor and just completely ransacked the whole house. Every single room was targeted, cupboards and draws opened and personal items strewn everywhere,” she said. “When something like this happens, it affects not just the family directly involved but the whole community. People are living in fear that their homes could be targeted as well. “Local people are very angry that this family, who contribute so much to the local community, have been targeted by what can only be described as low-life parasites preying on the community,” he said. The PSNI confirmed that they are dealing with a report of a burglary at a house on the Aghyaran Road area of Castlederg on Friday December 14 in which a quantity of jewellery was stolen. They have appealed for anyone who noticed any suspicious activity in the area or anyone with information to contact them in Strabane. Police are also appealing for information after two reports of theft in the Mountfield area on Monday, December 17. Sometime overnight between Monday December 17 and Tuesday December 18, a purse was stolen from an Audi A4 and a wallet was stolen from a BMW parked in the Killins Wood View area. Then, between 11.45pm on Monday night and 8am on Tuesday morning, it is believed that a sum of money, as well as a handbag was taken from a black Range Rover parked at the Barony Road area which was broken into.